I've decided to feature monthly favourites on my blog to let you know what I've been loving for the the month. Whether it be makeup, clothing or other random favourites I will include them all. Ok I know I'm a little late...but can you believe we're already into October! Crazy right...before we know it, Christmas will be here. September was a great month for me, because it was my birthday!! I tend to treat my birthdays as a monthly celebration...hey any excuse to party right?! I had a great time celebrating with my friends and family, which brings me onto my first favourite ~ flowers! 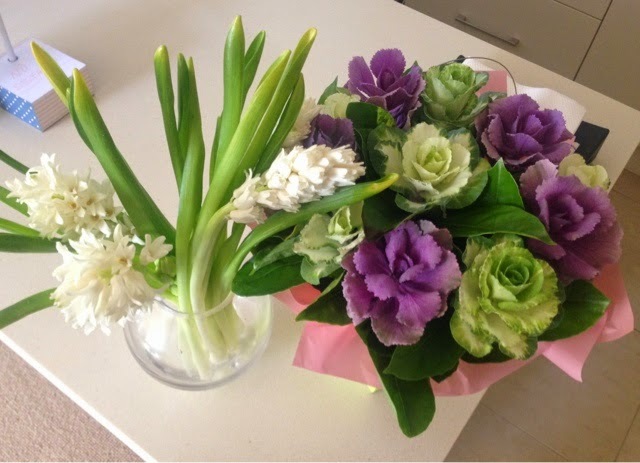 I got some really pretty bunches from my boyfriend Jack and colleagues at work. 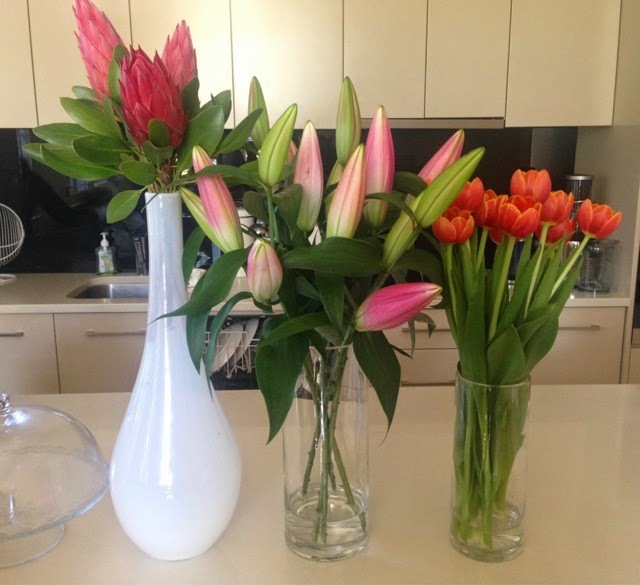 Such a nice surprise receiving flowers and I love having them all around the house. They bring colour and life to the house which I really enjoy. My next favourite is a pallet that I've wanted for so long but never bought it and let's just say, I should have a long time ago. 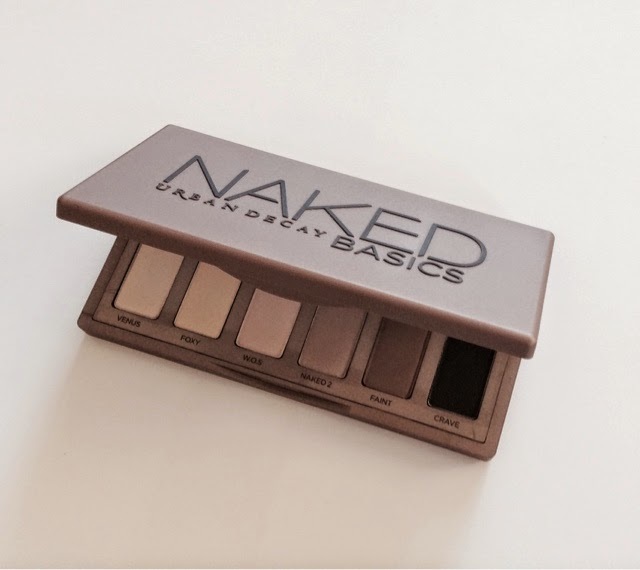 This is such a convenient pallet that can create both a natural and dramatic eye look. There are three really light shades for an all over lid colour or highlighter, a light brown grey for a natural crease colour, a darker brown for a deeper crease and a black for amping up your makeup for the evening. All the shades are matte, except the lightest shade on the left (Venus) which is a gorgeous shimmery cream. For an everyday makeup look, I tend to go for a lighter lid with a slightly darker crease and lots of mascara. This makes the Urban Decay Naked Basics pallet my new best friend! This product I wasn't sure about (because of the high price point) until I took the plunge and now am so glad I did! The Chanel Le Lift Creme Fine is a luxury anti-ageing face moisturiser. It's very light and non-greasy which is perfect for us oily skinners. I'd heard the lovely Huda from Huda Beauty raving about this product and how great it was, so decided to give it a go. Yolo right! 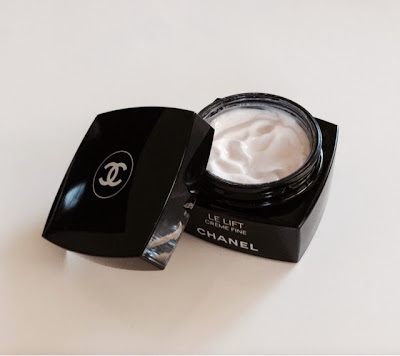 This cream has quickly become the best moisturiser I've ever used...big call I know! I have really oily skin, so something light was a must. It also needed to sink into my skin fairly quickly, while still hydrating my skin. When looking for a new moisturiser I also look into the long term benefits for my skin, such as evening out the skin, smoothing fine lines and keeping my oil at bay. Well let me tell you, it ticks all of these boxes and really has exceeded my expectations! The only thing I'm worried about now is how I'm going to afford the next jar. Over the last month I've really been into coin purses rather than carrying my whole wallet around. It's just easier in the mornings when I'm in need of a coffee hit. I can just grab it knowing a have the basics: coins, coffee reward card, drivers license and a Chapstick. This beauty is from Oroton which my sister actually gave to me. I have another from Typo and I've also seen them in Witchery, Sportsgirl and Collette. I never thought I could get so excited over running shoes, but the Asics Gel-Kayano 21s proved me wrong! I got these from my boyfriend for my birthday and I love them! I've now ran three times with them on; they are so comfortable and make such a difference. They have a gel layer to cushion underneath the feet, which makes for a lighter, faster run. I also have a low arch in my foot which makes them roll in slightly. 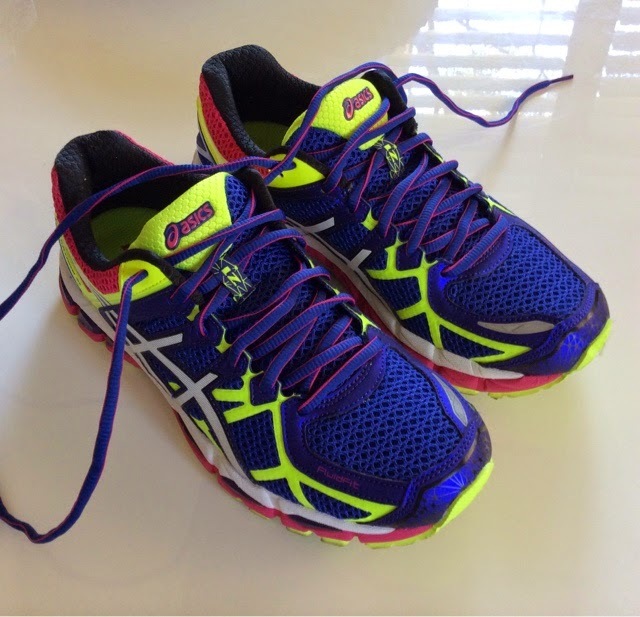 The Kayano's have a lot of arch support and are all round a great running shoe. The colour is on point too!